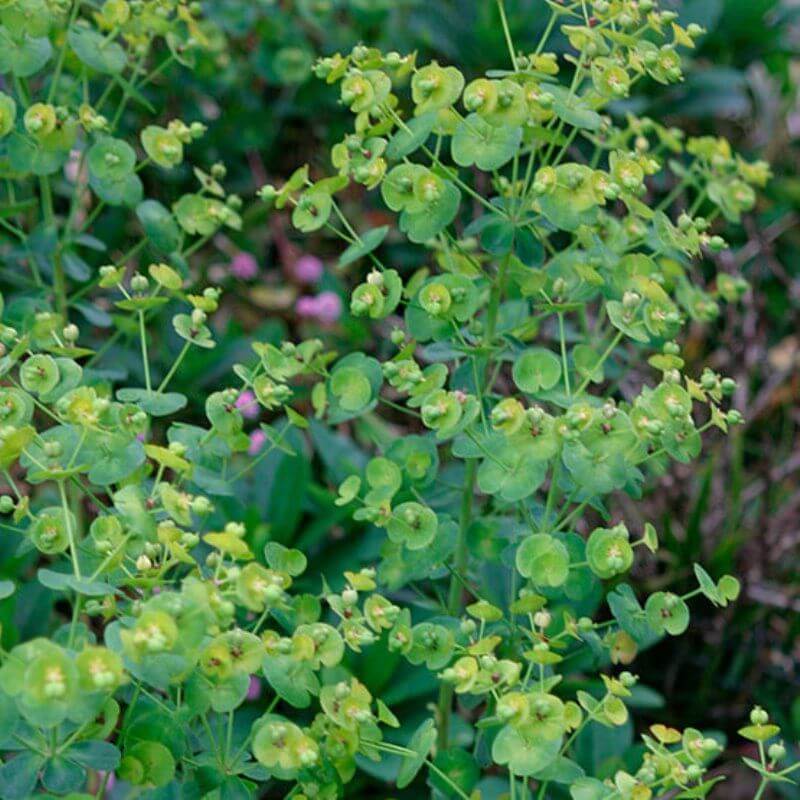 This is a lovely evergreen Euphorbia that sends up rosettes of yellow/green flower heads in summer. Perfect for under trees, in woodland settings and as a ground cover. Western Australia & Tasmania Customers - Please note we are sorry to advise we can no longer accept orders for WA and Tasmania. Don't have PayPal and want to pay by Credit or Debit Card? Here's how - Read our new guide to using your Credit Card with PayPal. Please note our revised shipping prices effective 14 Oct 2016. Subscribe to our newsletter to get the latest news on plants and bulbs.